This popcorn garland is approximately 6 feet long, and made from real popcorn. 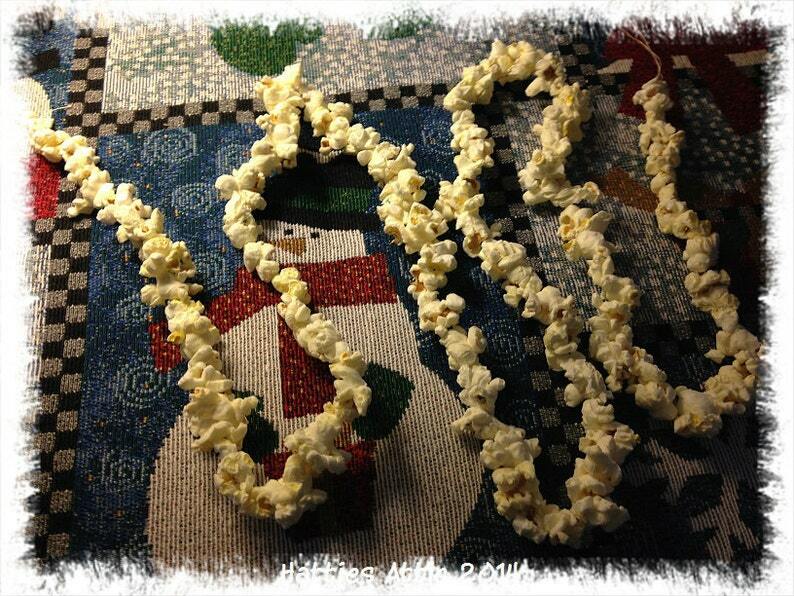 There are loops in each end of the popcorn garland, so that it may be added onto easily. Great for your primitive tree, as garland on a mantle, lying on a shelf anywhere you would like to add some old thyme charm. Popcorn was popped and hand strung by me, here at the Attic. Comes from a smoke free, pet friendly home. Order as many as you need. Need large quantities? Let me know, and I will put a listing up for you.